QCT QxStack Microsoft Cloud Ready Solutions integrate all of Microsoft Windows Server 2016 SDDC technologies—software-defined compute, storage and networking virtualization, flexibility and scalability—into a hyperconverged cloud solution. Quanta Cloud Technology (QCT) announced today that its QxStack WS2016 MSW2000 and MSW6000 have passed the stringent requirements of the Windows Server Software-Defined Program (WSSD). 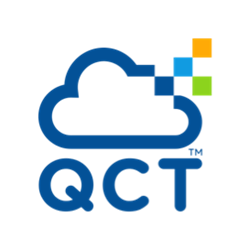 QCT—a global leader in hyperscale cloud and hyperconverged infrastructure—is one of only a handful of hardware providers chosen by Microsoft to participate in this rigorous program. It is an invitation-only program in which hyperconverged solution providers design and validate hardware integrated with Windows Server 2016 Software-Defined infrastructure following Microsoft requirements and best practices. It is offered by Microsoft as the quickest, lowest-risk, most cost-effective way to consume Windows Server 2016 Software-Defined Data Center (SDDC). The WSSD program requires solution providers to meet validation requirements through four phases—design, validation, deployment and operations. Design configuration must be reviewed and approved by Microsoft. Next, validation follows the Microsoft Software-Defined Data Center Additional Qualification, or SDDC AQ, which applies a Private Cloud Simulator Test for all potential scenarios associated with Storage Clusters and VMs a datacenter could encounter over the course of a year. A test item can run at most 1000 times. QCT is part of the Microsoft WSSD program, and the QCT QxStack WS2016 MSW2000 and MSW6000 hyperconverged solutions are validated by the SDDC AQ qualification. This level of stress testing allows QCT to deliver a high quality, consistent and worry-free datacenter infrastructure experience that can effectively manage clients’ information and better facilitate their business operations. The MSW2000 and MSW6000 are leading products in the QCT lineup of QxStack WS2016 Cloud Ready Solution. These pre-installed, pre-configured and optimized modular solutions are easy to use, cloud ready and scalable from four nodes to 16 nodes in the same cluster to handle a variety of enterprise virtualization workloads. The QCT-designed MSW2000 offers more than 400 TB in a 1U chassis with four nodes and uses SSDs as caching, providing over 1 million IOPS. It is economical and best suited for a wide variety of enterprise workloads that require large capacities. Meanwhile, the MSW6000 features an all-flash configuration that provides over 1.3 million IOPS and 1.8G/sec of throughput in a 2U form. With its all-flash-based software-defined storage, the MSW6000 is a perfect fit for workloads that require consistent, high performance. These pre-validated, performance-benchmarked appliances come pre-installed with software to help organizations move faster to achieve their cloud transformation. In an example customer use case, QCT deployed the MSW6000 to successfully help a prominent university in Europe by facilitating its operation and utilizing its data. These solutions, along with Microsoft Windows Server 2016 SDDC technologies inspired by Microsoft Azure, help customers create a more flexible, faster-to-value and innovative datacenter. QCT QxStack Microsoft Cloud Ready Solutions integrate all of Microsoft Windows Server 2016 SDDC technologies—software-defined compute, storage and networking virtualization, flexibility and scalability—into a hyperconverged cloud solution. QCT is currently in the validation process for integrations of MSW8000, an all-NVMe configuration. The solution also offers simplified management through the Quanta System Manager, which provides monitoring coverage for up to 5,000 nodes, remote control support, a customized dashboard, real-time notice, system health information and multi-language support. Quanta System Manager synchronizes with Microsoft System Center Operations Manager, enabling users to manage workloads and hardware in one console. Product lines include hyperconverged and software-defined datacenter solutions as well as servers, storage, switches and integrated racks with a diverse ecosystem of hardware component and software partners. QCT designs, manufactures, integrates and services cutting-edge offerings via its own global network. The parent of QCT is Quanta Computer, Inc., a Fortune Global 500 corporation. http://www.QCT.io.